Thanks for such a great turn out at last week's Aquanaut pool party. It was a great way for the boys to start off a new year of Cub Scouts and it could not have been done without such enthusiastic participation from you and your families. I hope everyone had as much fun as it seemed. I will be sending more updates throughout the next couple of weeks regarding our plans for the rest of the year but I wanted to let you know of at least these tentative dates for Fall 2014 to help you prepare for the next few months. Like last year, I will post all dates and times to our Google Calendar on pack99.net. Details to follow but cordless (i.e. gas or battery powered) lawn tools (e.g. weed wackers, brush cutters, chain saws, etc.) needed for clearing the trails at the NGRC in preparation for the September and October pack meetings. 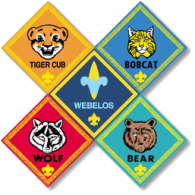 Den 11 scouts who assist will earn credit toward Requirement No. 6 of the Outdoorsman pin. Our boys are the seniors of the pack and it is their rite of passage to haunt the woods for the younger scouts. We will use this time to plan for what is needed.